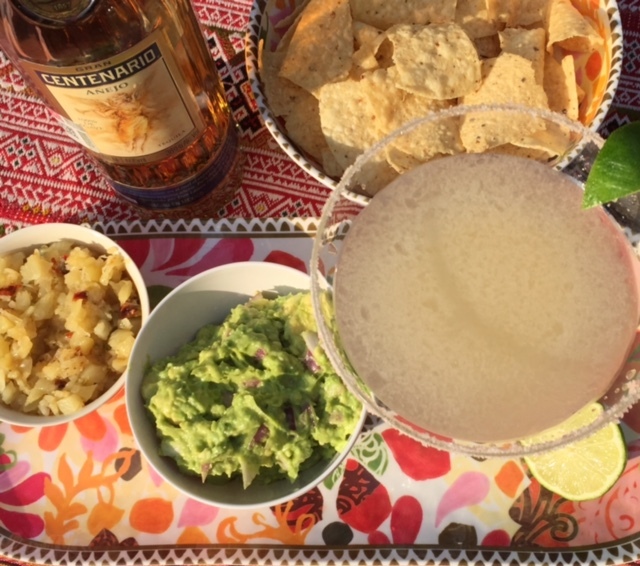 Really, no need to wait for a Friday because any day is a good day for a margarita in my opinion. But it’s the weekend people! So let’s celebrate it. Make a point to relax and do something special with friends or family. 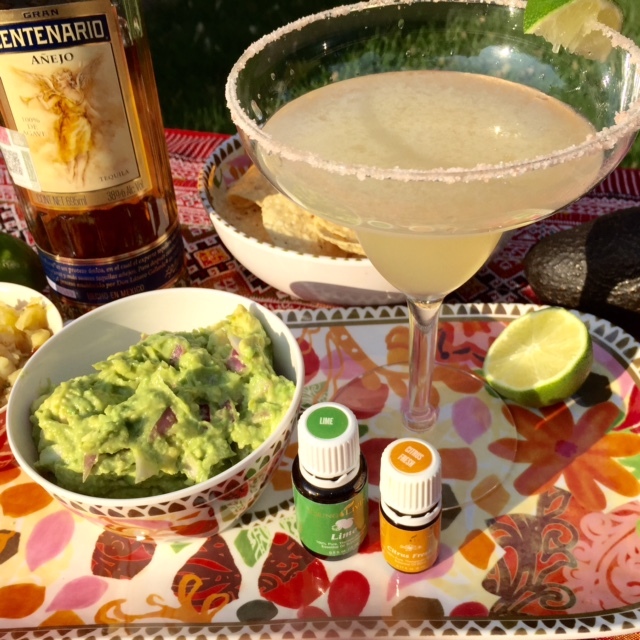 I made my stand-by enchilada casserole last night for dinner, so used it as my excuse to make myself a margarita and some homemade guacamole, both with a little added EO goodness. Hope you give these simple recipes a try and have a great weekend. Optional: a few dashes of Franks Red Hot, I know there’s some Franks people out there! Cut the avocados in half and remove pits, scoop the flesh out and put into a bowl. Immediately add the lime juice (to prevent browning) and the rest of the ingredients. Mash avocados and combine ingredients. Check to see if more salt or pepper should be added. A little extra salt may really make the difference. Serve with tortilla chips. 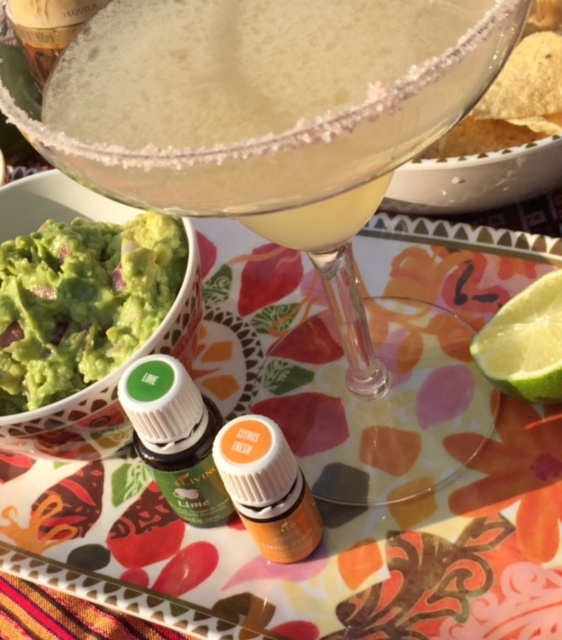 Pour enough salt on a plate to rim your margarita glass. Rub a lime wedge along the rim of your glass and dip glass into the salt. Fill cocktail shaker with first five ingredients, shake vigorously and strain into your glass. Garnish with a lime wedge.